British Columbia’s warmest lake is holding another Dragon Boat Flag Race. Be a part of this fantastic, FUN day! A welcome bag for each registrant, provided Friday September 20th, containing their race wristband, welcome letter, 1 complimentary drink ticket for the dragons’ dinner, and various treats provided from our sponsors and the town of Osoyoos. 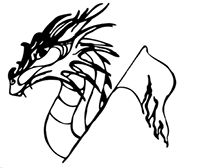 The Osoyoos Lake Paddling Club will be hosting an outdoor Dragons’ Dinner followed by dancing and more fun! for fellow competitors after the flag raceat Safari Beach Resort. Catering provided by Harker’s Organics. *each team captain is encouraged to communicate with their team, to utilize the 24 tickets before purchasing extras. Extra dinner tickets can be purchased if needed. Selfie wall to remember us by! A chance to win one of the amazing prize gift boxes. Teams with the top race times for each category will be recognized and rewarded. Paid entry fee of $1450.00 CND will secure your registration.